ARSENAL SLR 106U KRINK PISTOL .556 cal. 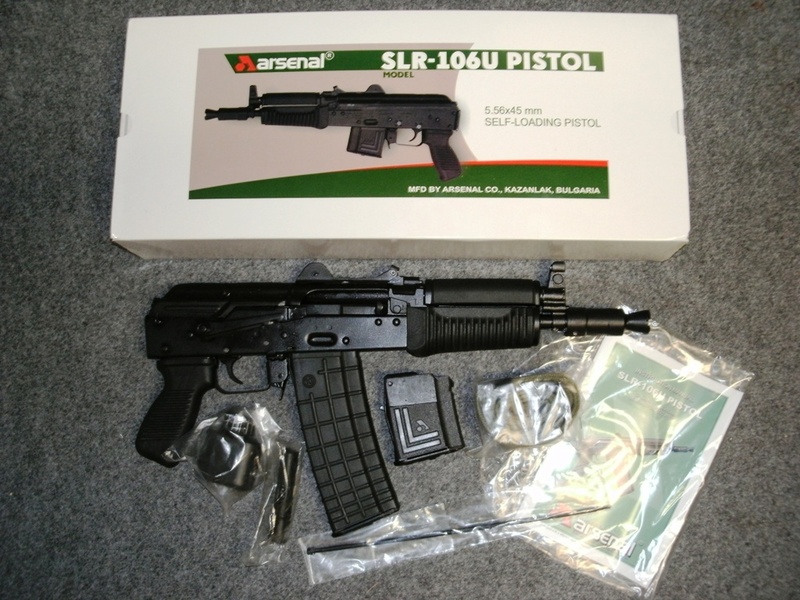 SLR-106 UR PISTOL - Import, 5.56 NATO caliber, stamped receiver, short gas system, front sight block / gas block combination. FAKE Muzzle Brake, 10 in. chrome lined hammer forged barrel, black polymer furniture. Includes one each 10-round magazine, sling, oil bottle, and cleaning kit. Only SLR106-58 variation available with some distributors.